This object has been created for the Chrématistique exhibition on economy at CNEAI, Chatou, France. 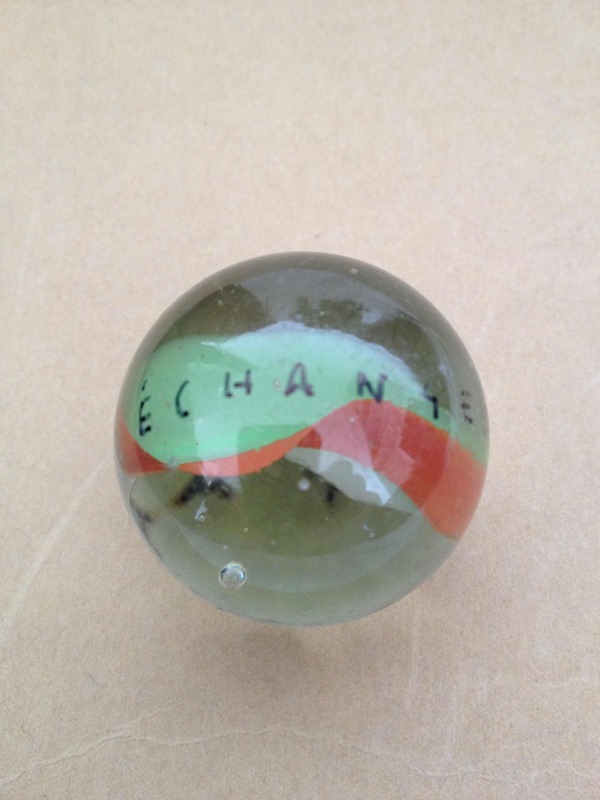 The piece is a glass marble on which the words «échange» (exchange) and «enfance» (childhood) are written on two different sides. The marble is placed in a box.